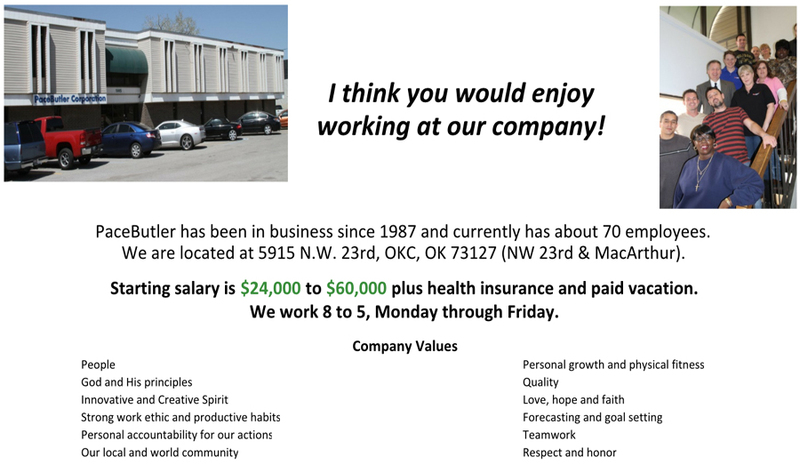 PaceButler Corporation has an immediate opening for several different positions throughout the company. You'll have unique opportunities to work, grow and innovate with the world's friendliest employees. "The service from PaceButler is top notch. Within a week of sending out the phones we have a check in our mailbox!" "PaceButler exemplifies what great customer service should be. We boxed up our phones using the easy, step-by-step instructions they provided. And when we discovered another phone, we called them to find out how to handle that situation. Their communication through phone and email was friendly, fast and responsive. We highly recommend PaceButler." © 2019 PaceButler Corporation - All Rights Reserved.